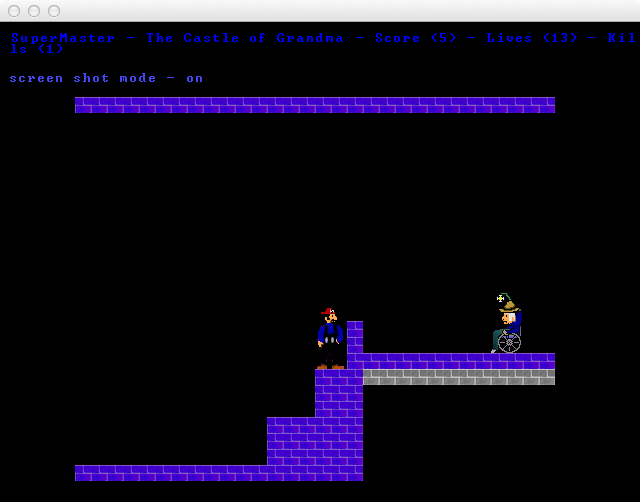 is one of the first games I wrote first converted it to PSP, now from that source ported to OS X. This is the second game in the series, was before SuperMasterKong and Super Stoner 420. 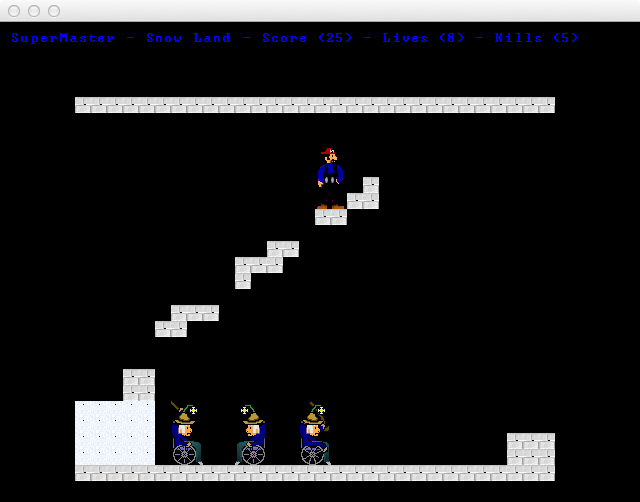 Use the arrow keys to move the hero, press the 'a' key to jump 's' key to fire.